Oki toner monocromo Hay 2 productos. 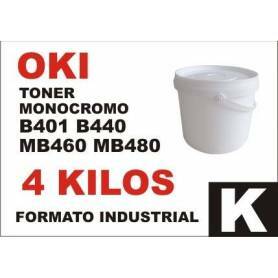 Oki tóner monocromo b411 b431 b430 b440 mb460 formato industrial 4 kg. Oki tóner monocromo mb260 b4500 b6500 b730 formato industrial 4 kg.